Shortlisted for the CBI Book of the Year Award for 2015. Oscar Dunleavy, who used to make the world's most perfect apple tarts, is missing, presumed dead. No-one seems too surprised, except for Meg, his best friend, and his little brother Stevie. 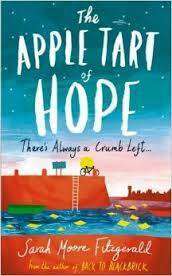 Surrounded by grief and confusion, Meg and Stevie are determined to find out what happened to Oscar, and together they learn about loyalty and friendship and the power of never giving up hope. The second sensational novel from Irish author, Sarah Moore Fitzgerald, following her debut, BACK TO BLACKBRICK, perfect for fans of Annabel Pitcher and Siobhan Dowd.